We are experiencing a transformation of the energy mix with a shift from fossil energy and nuclear power to renewables, mainly wind and solar power. Unlike conventional power units, the production of electricity from windmills and photovoltaic panels is intermittent: it varies over time and weather conditions. Uncontrolled supply is problematic in electricity markets because supply and demand must match in real time. In this talk, I'll explore challenges raised by the intermittency of renewable sources of energy. What are the implications for the design of climate policy? How to adapt electricity markets to intermittent supply? Should we remunerate production capacity in the wholesale market? Should we move to real-time pricing at the retailing market? What are the impacts on competition? How much to invest in energy storage? 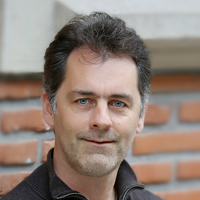 Stefan Ambec is INRA Research Professor at Toulouse School of Economics where he leads the TSE Energy and Climate Center. His research focuses on the foundations and impacts of environmental policies: about their efficiency, fairness properties, their effect on firms' strategies, on the welfare of citizens and their behavior. He has worked on water use, air pollution, climate change, common-pool resource extraction, electricity production and pest resistance. He is Editor for Resource and Energy Economics and Visiting Professor at the University of Gothenburg. The central question that I will address in my lecture will be whether a rational agent under uncertainty can exhibit Ambiguity Aversion (AA). I will argue that the answer to this question depends on the way the agent forms her probabilistic beliefs: Classical Bayesianism (CB) vs Modern Bayesianism (MB). I will revisit Schmeidler's coin-based example and show that a rational MB agent operating in the context of a "small world", cannot exhibit AA. Hence I will argue that the motivation of AA based on Schmeidler's coin-based and Ellsberg's classic urn-based examples, is poor, since they correspond to cases of "small worlds". I will also argue that MB, not only avoids AA, but also proves to be normatively superior to CB because an MB agent (i) avoids logical inconsistencies akin to the relation between her subjective probability and objective chance, (ii) resolves the problem of "old evidence" and (iii) allows psychological detachment from actual evidence, hence avoiding the problem of "cognitive dissonance". As far as AA is concerned, I will claim that it may be thought of as a (potential) property of large worlds, because in such worlds MB is likely to be infeasible. I will close the lecture with a discussion of the implication of this results for climate change empirical work in an interdisciplinary context. Professor Dr. Phoebe Koundouri holds a PhD (2000), MSc (1996) and MPhil (1995) in Economics from the University of Cambridge (UK). She is Professor in Economic and Econometric Theory and Applications (with special emphasis on Natural Resources, Energy and the Environment) at the School of Economics, Athens University of Economics and Business (Greece). She is also Founder and Scientific Director of the Research Laboratory: ReSEES: Research on Socio-Economic and Environmental Sustainability at the same University. She is the Founder and Scientific Chair of the International Center for Research on the Economy and the Environment (ICRE8, www.icre8,eu). She is a Visiting Professor at the Centre for Climate Change Economics and Policy, London School of Economics (UK). 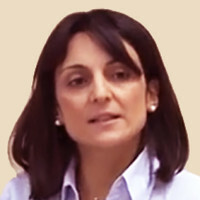 She is an affiliated Professor at the ATHENA Research and Innovation Center, Greece, where she directs Climate KIC Greece. Professor Phoebe Koundouri is also the co-chair of the United Nations Sustainable Development Network - Greece, which is hosted at ICRE8 and the Political Economy of Sustainable Development Laboratory (PESD, pesd.econ.uoa.gr) of the National and Kapodistrian University of Athens on the Political Economy of Sustainable Development. 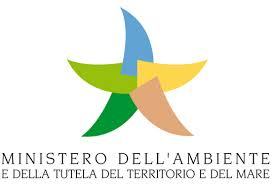 Co-funded by Italian Ministry of Environment, Land and Sea "Bando snsvs1 - NP 22 – 'Settima Conferenza Annuale dell’Associazione Italiana degli Economisti dell’Ambiente e delle Risorse Naturali (IAERE), Udine, 7-8 febbraio 2019'"